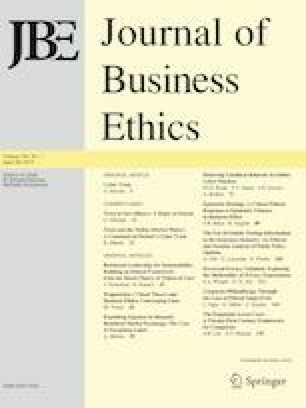 Recent scholarship in business ethics has revealed the importance of privacy expectations as they relate to implicit privacy norms and the business practices that may violate these expectations. Yet, it is unclear how and when businesses may violate these expectations, factors that form or influence privacy expectations, or whether or not expectations have in fact been violated by company actions. This article reports the findings of three studies exploring how and when the corporate dissemination of consumer data violates privacy expectations. The results indicate that consumer sentiment is more negative following intentional releases of sensitive consumer data, but the effect of data dissemination is more complex than that of company intentionality and data sensitivity alone. Companies can effectively set, and re-affirm, privacy expectations via consent procedures preceding and succeeding data dissemination notifications. Although implied consent has become more widely used in practice, we show how explicit consent outperforms implied consent in these regards. Importantly, this research provides process evidence that identifies perceived violation of privacy expectations as the underlying mechanism to explain the deleterious effects, on consumer sentiment, when company actions are misaligned with consumers’ privacy expectations. Ethical implications for companies collecting and disseminating consumer information are offered. The online version of this article (doi: 10.1007/s10551-017-3553-z) contains supplementary material, which is available to authorized users. Facebook (2013). Important message from Facebook’s white hat program. https://www.facebook.com/notes/facebook-security/important-message-from-facebooks-white-hat-program/10151437074840766. Accessed December 19, 2015. Federal Trade Commission. (2009). The CAN-SPAM Act: A compliance guide for business. https://www.ftc.gov/system/files/documents/plain-language/bus61-can-spam-act-compliance-guide-business.pdf. Accessed December 1, 2016. Federal Trade Commission. (2011). FTC charges deceptive privacy practices in Google’s rollout of its buzz social network. http://Ftc.Gov/Opa/2011/03/Googleshtm. Accessed December 1, 2016. Federal Trade Commission. (2014). Data brokers: A call for transparency and accountability. Www.Ftc.Gov/System/Files/Documents/Reports/Data-Brokers-Call-Transparency-Accountabilityreport-Federal-Trade-Commission-may-2014/140527databrokerreport.Pdf. Accessed December 1, 2016. Finkle, J. (2013). Adobe data breach more extensive than previously disclosed. Reuters, http://www.reuters.com/article/us-adobe-cyberattack-idUSBRE99S1DJ20131029. Accessed December 19, 2015. Fredrix, E. (2005). Ameritrade loses backup tape containing 200 K client files. http://usatoday30.usatoday.com/tech/news/computersecurity/infotheft/2005-04-20-ameritrade-files-lost_x.htm. Accessed December 1, 2016. Garcia, A. (2015). Target settles for $39 million over data breach. http://money.cnn.com/2015/12/02/news/companies/target-data-breach-settlement. Accessed September 1, 2016. Harris, K. D. (2016). California Data Breach Report 2012-2015. https://oag.ca.gov/sites/all/files/agweb/pdfs/dbr/2016-data-breach-report.pdf. Accessed May 25, 2016. Kelly, E. (2017). Congress tackles major privacy, surveillance issues. USA Today https://www.usatoday.com/story/news/politics/2017/04/12/congress-tackles-major-privacy-surveillance-issues/100335168. Accessed April 16, 2017. Kroft, S. (2014). The data brokers: Selling your personal information. CBS News. http://www.cbsnews.com/news/the-data-brokers-selling-your-personal-information/. Accessed October 5, 2015. Madden, M. (2014). Public perceptions of privacy and security in the post-Snowden era. http://www.pewinternet.org/2014/11/12/public-privacy-perceptions. Accessed December 1, 2016. Quick, M., Hollowood, E., Miles, C., & Hampson, D. (2017). World’s biggest data breaches. Informationisbeautiful.net/visualizations/worlds-biggest-data-breaches-hacks. Accessed April 16, 2017.